Indianapolis is a bustling city filled with exciting cultural destinations, including plenty of museums. Museums are the perfect way to learn more about the world around you, as well as more about the city of Indianapolis. We’ve listed our top four favorite Indianapolis museums that would make the perfect day trip for residents and visitors alike. This sprawling art museum was founded in 1883, making the Indianapolis Musem of Art one of the ten oldest museums in the country. It boasts collections ranging from African to Asian to European to Modern, allowing the museum to curate impressive collections that span multiple decades of works from both minor and major artisans. Besides the acclaimed permanent exhibits, the museum also displays a number of traveling exhibits. Make sure to check out their website to see what exhibits are at the museum before you go. The museum is located at 4000 Michigan Road. Adult tickets cost $18 and children 5-17 cost $10. One of the largest collections of Native American art, Eiteljorg Museum holds both classic and contemporary Western and Native American art. Enjoy browsing the three main collections or take a peek at any of the current exhibitions hosted at Eiteljorg. The museum also holds a number of events both inside the museum and on their extensive grounds. The Eiteljorg Museum sits at 500 West Washington Street. Parking is free except for July 4th and during their Indian Market and Festival. Admission is $13 for adults, $7 for children. Located on the grounds of the Indianapolis Museum of Art is the Lilly House, a 26-acre historic home and estate that was previously home to J.K. Lilly, Jr, a prominent member of Indianapolis society in the early 20th century. The mansion has an impressive 22 rooms, all lovingly restored, and the gorgeous grounds and gardens were designed by the noted landscape architectural firm the Olmstead Brothers. The house holds several collections as well as rotating exhibits. Audio tours are available for free with admission. The charge to get into the Lilly House is included in the admission to the Indiana Museum of Art, which is $18 for adults and $10 for children 5-17. The Children’s Museum of Indianapolis is one of the most popular destinations in the area for both the young and young at heart. 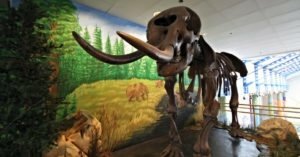 Filled with opportunities for both learning and fun, this fantastic museum is a must-see for residents and visitors alike. Located at 3000 North Meridian Street, it’s the world’s largest children’s museum. Popular exhibits include Circus — Starring YOU! where kids can walk a virtual tightrope and learn more about the history of the circus. Dinosphere treats visitors to ancient dinosaur skeletons, and Scienceworks teaches kids about earth sciences with fun interactive exhibits and tours. Tickets range from $15 to $25 depending on the day and how busy the museum is. You can also buy ahead of time and save some money. Parking is free. These four museums are just a small taste of the multiple museums in Indianapolis. Get some friends or family and head out to learn something and enjoy a museum today!